If you drink alcohol or take drugs (which I don’t condone at all, but that’s your choice, not mine) then you might want to check out the drinks and drugs meter websites. 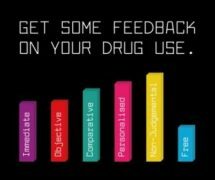 There are two separate websites – one for drinks and one for drugs – where you can anonymously have personalised feedback on your alcohol and drug use and compares you against thousands of people across the world. The meters know it’s not only about what you drink/take but about how much, who you are and what else is going on in your life. The two meters also let you compare against thousands of others around the world as well as to national guidelines. The drinks meter calculates the amount of calories you are drinking and then convert them into cheeseburger and chocolate equivalents. It offers you an anonymous way of checking your alcohol consumption against the World Health Organisations 10 question AUDIT screen and then gives feedback informed by medical experts and in-depth analysis of how alcohol may be affecting you. The test takes about 3-8 minutes to complete and works out how much you drank last week using an easy to use drink assessment tool and then converts that into units. It can even tell you what a unit is. The Personal Risk Adjuster Tool (PRAT) is a set of simple questions that adjust the risks associated with the amount of alcohol you consume which is based on your unique profile. 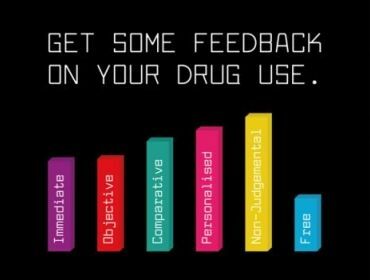 The drugs meter is pretty much the same but for drug use and is committed to giving honest, accurate information. The meter will let you know if your drug use is average for other people just like you and whether it’s considered as a high risk by the World Health Organisation. It calculates how many days a month you use and how much you usually use in a session and can estimate your last month’s use and spend which you are able to adjust up and down until its right for you. The PRAT is again used in the same way as in the drinks meter but for drug usage. Both meters compare your usage/consumption against anonymous data from other people who have also taken the drugs meter for that substance. It started with 13,000 people who have given anonymous data during the Global Drug Survey 2012, and increases every time someone uses the drugs meter. The growing database makes the comparisons more accurate as more people participate, therefore giving you the chance to compare yourself to others based on a range of demographic features. At the moment there are 9 drugs meters – alcohol, tobacco, cannabis, cocaine, MDMA, amphetamine, GHB, ketamine and mephedrone – with more in development. Your information always remains anonymous and is pooled in a secure database which is stored separately to any other content. You are never asked for personal details and cannot store any personal data or trackable information so nobody can have access to your data. The meters are also available to download onto smart phones. Have You Heard Of John Constable?